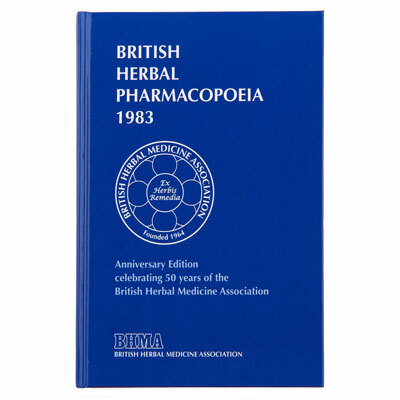 Widely acknowledged as a classic, the British Herbal Pharmacopoeia 1983 is still in demand after more than three decades. To countless practitioners and students it has offered a sound introduction to the study of herbal medicine and remains an essential reference work in their personal libraries. The monographs provide quality criteria and therapeutic information for 232 botanical drugs, presented in a structured format of exceptional clarity. The specifications for quality may be rather basic for today’s requirements, but the originality and conciseness of the Therapeutics sections give the book its enduring value. Prepared under the guidance of a former chairman of the British Herbal Medicine Association, the actions, indications, preparations and dosages stated in the texts were based on the personal experience of leading herbal practitioners of the day. The Index to Therapeutic Indications, an alphabetical list of ailments with appropriate herbal remedies (derived from the monographs), is another valuable feature of the book. When first published the BHP 1983 was a pioneering work, unlike any other English textbook on herbal medicine, and it has stood the test of time. This splendid hardback presentation of the original text was prepared to mark the 50th Anniversary of the BHMA and the start of work by its Scientific Committee on monographs for the Pharmacopoeia.